Yesterday I didn't get to my art until about 11pm. Needless to say the baby woke up and I had to run off and I fell asleep, day was done. 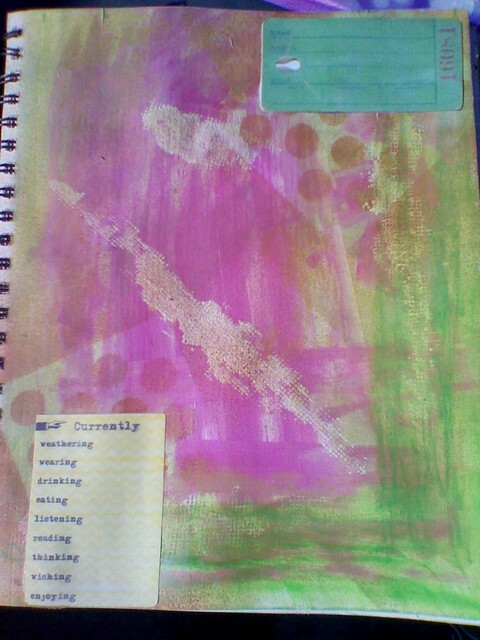 This is today's page. Sometimes I just throw stuff on a page. To process and digest. Plus the night before I went to sleep at 3am and woke up at 8am with the kids. I was exhausted to say the least. 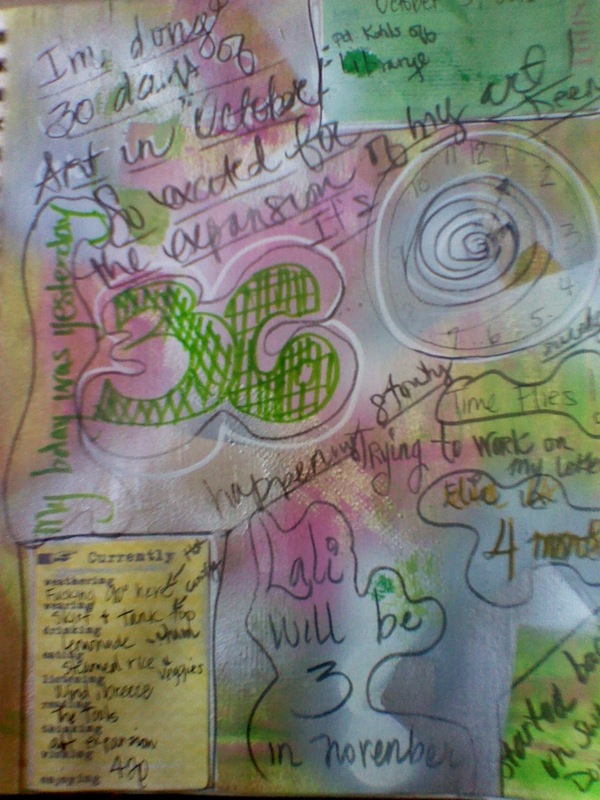 This page showed me my thoughts are scattered and spontaneous upon receiving the task, and I just do, start doing. 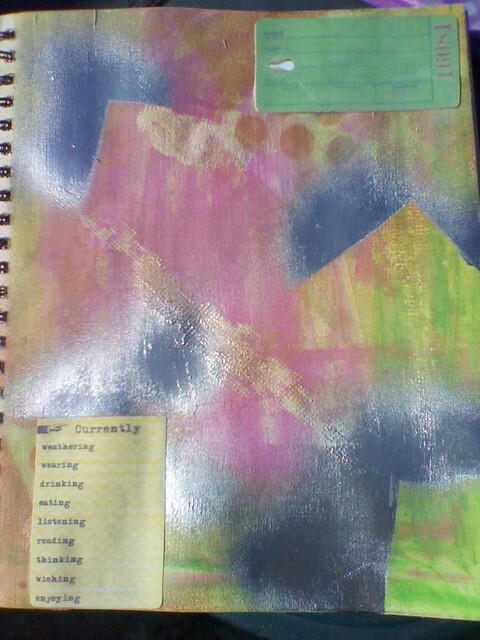 Perhaps this is good with some things, but not my art journals. I feel like they should speak to me. They do speak to me. Always. For this, I'm grateful. I wish you a pleasant day my friends, I will have today's page this evening. Until then, blessings.